Today's challenge was to draw streetlights. They are really boring around here so I decided to draw what I wish our streetlights would look like instead. 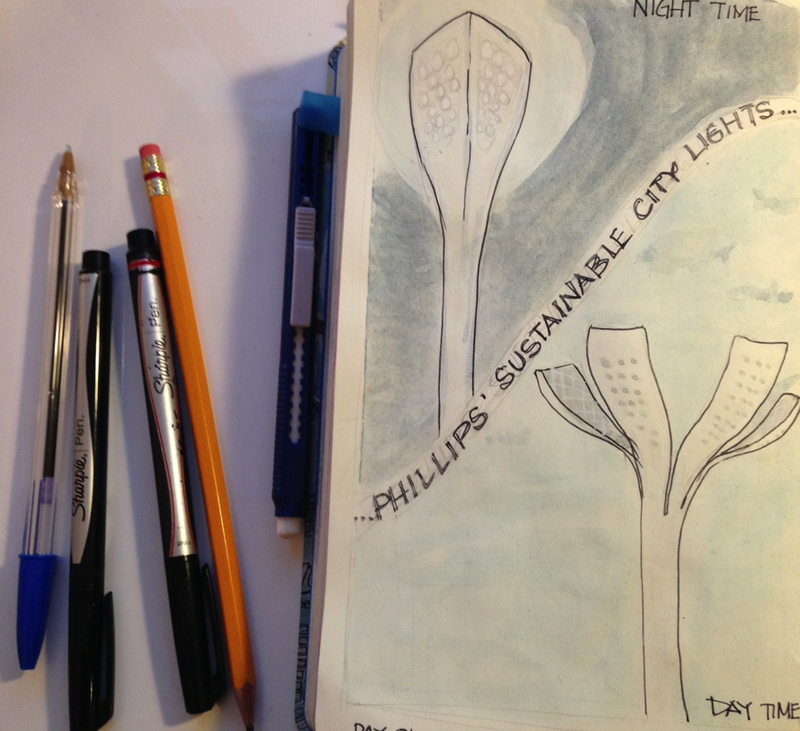 Phillips created this really neat solar and wind powered street light concept inspired by flowers. It would be so much better than what we have right now. I wonder what's the hold up.